This post contains spoilers from Mindhunter: Season 1. Netflix's serial killer saga Mindhunter was one of the most bracing new shows of last year. 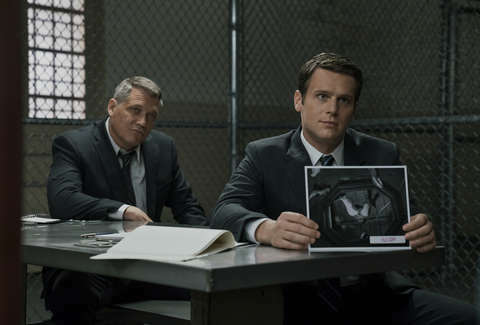 By focusing on the interview-based behavioral research of FBI agents Holden Ford (Jonathan Groff) and Bill Tench (Holt McCallany), the series flipped decades of crime procedural clichés on their heads. Instead of emphasizing the violent act of murder itself, it was a study of the psychology and circumstances that led to those acts. It was a gripping true-crime show with just the right dollop of prestige. But where is it going? We already declared it the best of Netflix's original shows, so we clearly have a vested interest in seeing whether this can be the rare streaming hit that actually gets better as it continues (cough, House of Cards, cough). 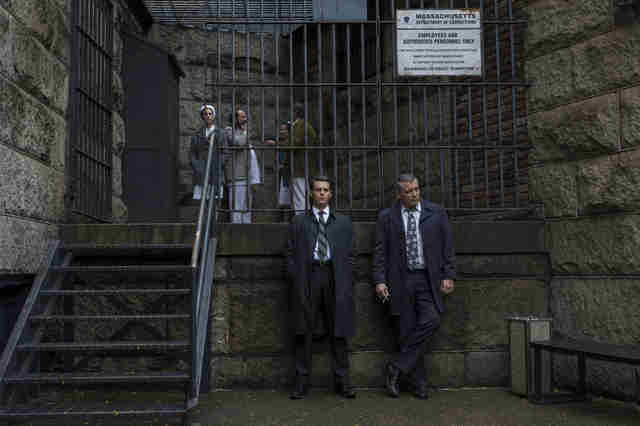 The show was inspired by the nonfiction book Mindhunter: Inside the FBI's Elite Serial Crime Unit, by John E. Douglas and Mark Olshake, meaning there's a historical roadmap for the show to follow. But will the creators deviate from the truth? Here's everything we know about Season 2 so far -- a carefully constructed case file we'll update as more information becomes available. When is Mindhunter Season 2 coming out? While some Netflix hits tend to take longer breaks between seasons -- for example, it's been over a year since The OA debuted, and we haven't gotten Season 2 yet -- many of them are produced at a steady, more conventional clip. Mindhunter was officially renewed by Netflix on November 30, and a recent interview with star Jonathan Groff suggested they'll be shooting in the next couple months. "I have seen scripts, but I can't say anything about them," the actor said. "I am excited to go back." While an official release date hasn't been announced yet, Groff's comments echo remarks made by executive producer David Fincher in interviews. According to a piece on The Playlist, Fincher was doing prep work on the show in Pittsburgh in mid-April, with plans to begin shooting at the end of the month. The article also states that the show is likely going to be held for an early 2019 release. Reportedly, Season 2 will only have eight episodes. (The show's first season had 10.) Either way, expect to spend part of 2019 listening to serial killers again! Is the cast coming back for Season 2? The core cast of the show -- Groff, McCallany, and Anna Torv as psychology professor Wendy Carr -- will be back to open up some more cases and interview more criminals. This isn't a True Detective style anthology show where we meet new investigators every season. 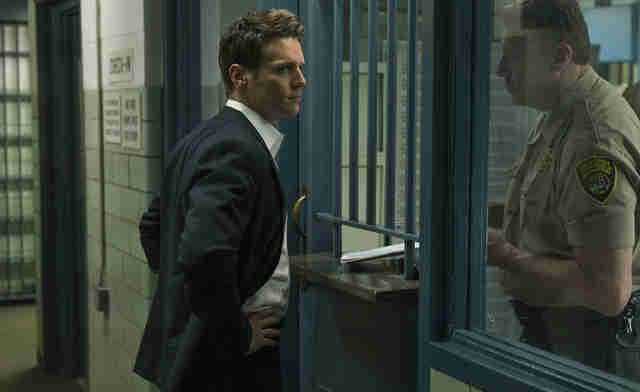 The emphasis on Holden's damaged psyche will likely be a major plot point for a second season. How will his breakdown during the finale change his work in the future? There's less clarity around whether or not Holden's grad-student girlfriend Debbie, played with cutting humor by Hannah Gross, will return for the second season. Their relationship ended on a bitter note at the close of Season 1 -- the pair's terse breakup was one of the show's witty high points -- but I imagine Debbie will return. She feels like an essential part of the show. (There's also a pretty wild theory floating around online that Debbie is actually the daughter of the BTK killer -- more on him later -- so who knows what the writers have planned for her?) Gross herself was non-committal in an interview with Vulture back in November. "I don’t know, and I can’t say. I can’t say, and I don’t know!" she said when asked about returning for Season 2.
Who will direct the episodes in Season 2? Executive producer and director David Fincher, who also helmed the similarly shadow-filled Seven and Zodiac, seems to have had a more hands-on role on Mindhunter than he did on House of Cards. He only directed the first two episodes of that show; for Mindhunter, he directed the first two and the last two entries in Season 1. And he'll be back in the director's chair for Season 2. According to The Playlist, the perfectionist filmmaker will direct the season premiere and the finale of Season 2. That's bad news for any Fincher fans who were hoping he would be working on a previously announced sequel to World War Z starring Brad Pitt by the end of the year -- it sounds like that film is still in the development stage -- but it's good news for Mindhunter-heads. Who will step behind the camera for the other non-Fincher episodes? Filmmaker Andrew Dominik (The Assassination of Jessie James, Killing Them Softly) will direct two episodes, and Carl Franklin (Devil in a Blue Dress, One False Move) will be responsible for the rest. This will be the first television work for Dominik, an Australian filmmaker mostly known for his dark, meditative collaborations with Brad Pitt and the violent crime drama Chopper. Franklin is a TV veteran who has directed multiple episodes of shows like House of Cards, 13 Reasons Why, and The Leftovers. 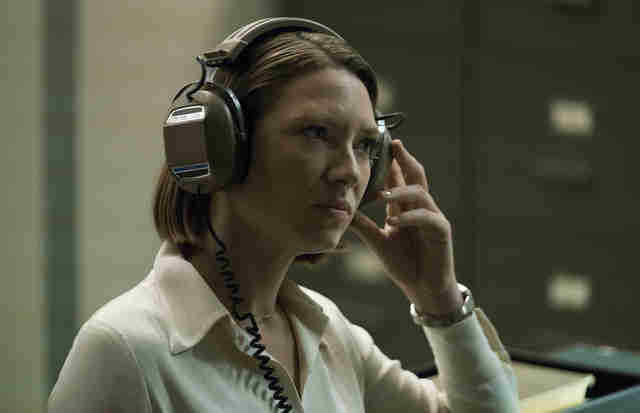 What will Mindhunter Season 2 be about? The announcement video posted for Season 2 put it succinctly: "We need to talk to more subjects." But who exactly will those subjects be? The internet is filled with speculation on that topic, with figures like the already mentioned within the show Charles Manson and David Berkowitz being strong possibilities. The Stocking Strangler, Ted Bundy, and John Wayne Gacy could also pop up. Sadly, there's no shortage of creeps in 1970s America for our heroes to investigate. However, in an interview with Billboard, Fincher provided a big clue of where the show will be headed while discussing the music. “Next year we’re looking at the Atlanta child murders, so we’ll have a lot more African-American music which will be nice," he said. "The music will evolve. It’s intended to support what’s happening with the show and for the show to evolve radically between seasons." 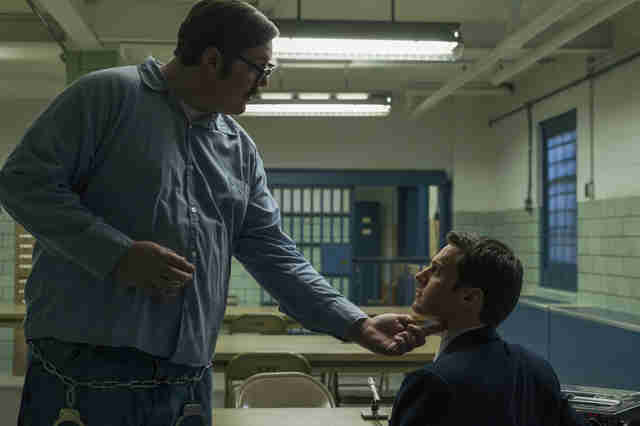 If it chooses to focus on the crimes, Mindhunter might not be the only show putting them under the microscope. As Refinery29 points out, actress Regina King and American Crime producer John Ridley have also been developing a series for FX that would also look at the case. Will the BTK Killer be in Season 2? The emphasis on the Atlanta murders might be a surprise to those who assumed the second season would focus entirely on the killer seen in most of Season 1's strange, elliptical opening segments -- and also in the finale's unnerving final image. 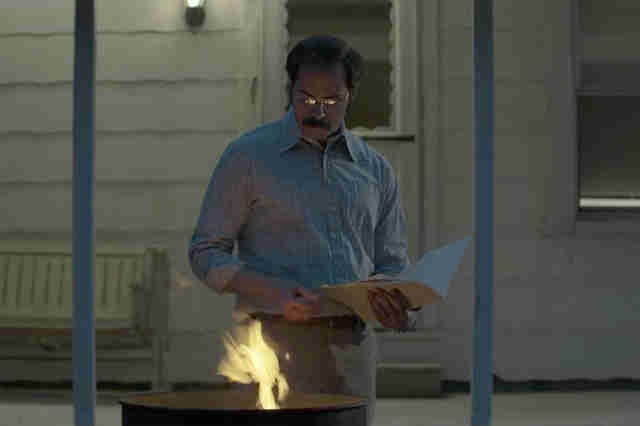 Anyone who started googling as soon as the show ended already knows the identity of the nondescript ADT technician: It's Dennis Rader, who is best known as the BTK Killer. The letters in his name stand for "Bind, Torture, Kill," which should give you an idea of why he was such a terrifying figure. Like the Zodiac killer, he had a twisted relationship with the media and would send taunting, detail-filled letters about his crimes to police and newspapers. Given the amount of screen time he's already received on Mindhunter, he's definitely going to be a focal point to the series. However, history suggests that his case will remain in the background for a little while and may not take up the major plot of the next season. Though he began committing his crimes in 1974, he wasn't actually arrested until 2005. (Some of his murders were committed in the 1980s and '90s.) That gives you a sense of the scale of the story Mindhunter could be telling. The BTK's involvement in the larger narrative will likely be a slow burn. Who will play Charles Manson in Season 2? While many of the details about Season 2 are still under wraps, one major piece of casting news was announced. In August, Collider reported that Australian actor Damon Herriman would play Charles Manson in the show's second season. This news came mere days after it was announced that Herriman would also be playing Manson in Quentin Tarantino's historical crime drama Once Upon a Time in Hollywood, a film starring Brad Pitt and Leonardo DiCaprio that's set in the midst of the Manson murders. Pretty strange, right? Though Herriman will be playing the '60s era Manson in the Tarantino movie, the Collider article reports he'll be playing an older Manson in Mindhunter. During the era of the show, Manson was behind bars for his crimes and seems like a good candidate for Ford and Tench to interview as part of their ongoing study. Herriman has had parts on TV shows like Breaking Bad, Top of the Lake, and Quarry, but he's probably best known to audiences for playing the scheming criminal Dewey Crowe on FX's long-running drama Justified. One has to assume his take on Manson must be pretty compelling for him to get cast in the role in two high-profile projects. Wait, what about the cat Wendy was feeding? Forget the BTK Killer. The cat that Wendy was feeding at her new apartment complex is clearly the most important, pressing unresolved plotline in the Mindhunter universe! Where did it go? Was it murdered by those scary maggots? Is it actually a killer? There are so many unanswered questions. Luckily, actress Anna Torv, who helped bring some dramatic gravitas to the kittie scenes, had her own explanation, which she provided in an interview with TVLine. "I thought, ‘This little kitten is representative of all these faceless [victims] and we only notice the ones that are dead because they have families that are looking for them,'" she explained. "And then here’s this little abandoned cat that no one is going to care about. And if that was a person, it’d be the same thing." According to the same interview, she passed this theory along to David Fincher, and he had a different read on the feline interaction. He thought the scenes meant that there was a child in the building going around killing cats and that there was a young sociopath in Wendy's apartment building. Will this cat murderer eventually become a case that the FBI investigates? We'll have to wait for Season 2 to find out.